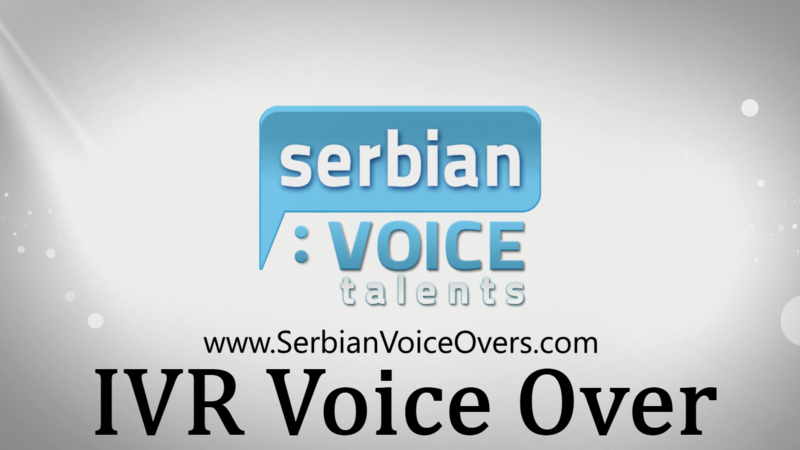 Serbian professional voice over recording for phone greetings, marketing messages, messages on hold and special announcements. You can turn your waiting time into selling time. Try to create more smart, friendly, funny messages in Serbian language. A message like that, people will much more likely to listen. Unobtrusively, tell them your busines hour, current promotions, your Web address and about your service. Fact: 80 procent of callers in Serbia and worldwide appreciate hearing information about company while waiting, reather then hearing music or silence. Callers with information on hold will stay on the line for up three minutes longer. Also, the callers will be more opened and more honest when leaving the messages.